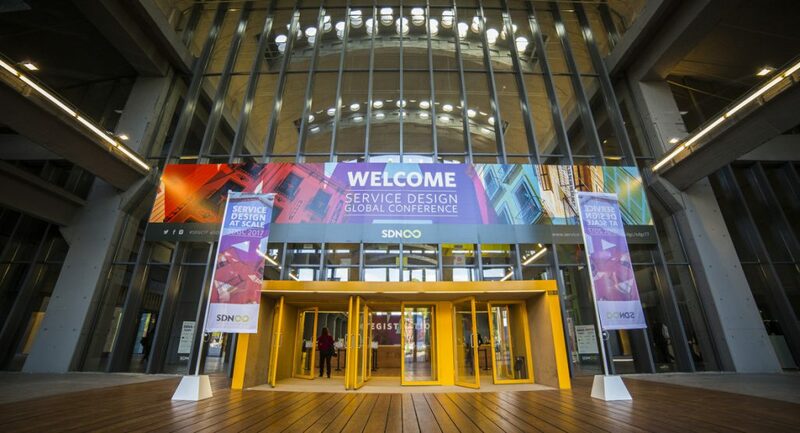 The theme of this year’s Service Design Global Conference (November 2-3, Madrid) was Service Design at Scale. Through continued practice, widespread capability building, and successful implementation of service strategy and execution, the face of organisations is changing to deliver great experiences for customers and employees, and business impact for the organisations that deliver them. The videos of all keynotes and plenary presentation are now available. They are listed here in the order of the programme. Like in many countries, the UK government is the nation’s oldest and largest service provider. Most people who work in government are involved, in some way, in delivering services. Everyone wants to help make the best service they can. But the very structure of government often works against them. Government is vast – and old. It is set up in siloes. It isn’t set up to deliver services. The challenge in government isn’t in convincing people of the value of service design. Or the value of building things for users. The challenge is linking people up so that they can work together and deliver joined-up end-to-end services that can be sustained over time. In this talk we’ll show how the approach of GDS and others to service design has changed over the past 5 years to tackle the next challenge for service design – scale and sustainability. An observation of the change of scale in the design scene through 20+ years of bustling around it In the 20+ years I have been in the design industry, in different capacities, the changes in the sector have been dramatic both from a physical aspect, in size and scope of the work done, but also, and perhaps more importantly, from the point of view of the influence and the transcendence of design in society and in business. The scale of such changes in design are notable: From an educational point of view: an undeniable surge in the number of schools, leading to new business models rather than design principles From the practitioner point of view: an increase in the ranks of designers of all types, therefore, of competition, the subsequent transformation in the business of design, and a larger variety of projects and clientele From the client point of view: a better understanding of what design is and, consequently, more room for the role of design in the organization From the institutional point of view: a turnaround in the role of the design-related institutions The scale of change in Service Design in the way we understand it, how we apply it, and how we teach it, are even more fascinating: From Services to Service, and the far-reaching consequences of the Service Dominant Logic From a discrete approach (touchpoint to touchpoint), to one based on lifecycles and then on systems From a focus on tools, to a focus on strategy From a narrow specialization to a well-established discipline From limited projects to large-scale initiatives And what is the foreseeable scale of the changes to come in the near future: The challenge of the changes in the social and economic context The transformation of corporations and the role of SD is called to play in it The likely adoption of technology by Service Design, and its consequences As a conclusion, I also want to address the way in which educational institutions are facing these challenges and what is the scale of the changes they need to enforce to better assist the designers, the users and the corporations through this coming transition. In Finland service design is by all accounts huge. It is a widely spread competence area and its benefits are recognised widely across most industries. Virtually all major companies and organisations in public sector use service design, there are multiple study programs for service design available (even for school children), and academia does top-notch research in service design. Service design is even included in the government programme in Finland. How has all this been achieved in just ten years? Learn how service design was scaled up in Finland, what things have been done right and what things could have been done even better. Over the past 7 years Snook have worked with public bodies and Governments to develop design capabilities, developing a blended strategy for building capabilities inside institutions. In 2017, Cork County Council launched Ireland’s first Service Design Centre, ‘Service rePublic’, after a journey with Snook to develop design capabilities across the council and improve public services. Speaking at the launch, Mayor of the County of Cork, Cllr Séamus McGrath noted the opportunities available to the people of Cork county to be involved in driving innovation where they live. We will present alongside the team from Cork, this landmark project in Ireland, then reflect on the wider strategy for building capabilities from prior experience. We’ll share success and failures with the audience. – Local area: challenge is less around designing a new service, but – in order to implement and scale – changing the mindsets and culture of staff into problem solvers that can continuously reflect and improve their service. – Country: challenge is to create an action learning set of transformative innovations that can lead to a new paradigm, and which requires wider systems permissions and conditions. It’s one thing to learn service design tools and try them here and there on your projects. It’s another to make the tools and the mindset business as usual within your organization. Connecting the dots is no small feat. But that’s what we’re trying to do at Capital One. Within our financial services division, we’ve made journey maps, vision stories, and service blueprints part of our management system. Leaders from multiple lines of business are embracing and learning these tools to help understand the customer experience, make vision tangible and accessible, and articulate what it will take to get there. What are the challenges of implementing service design at scale? How do you democratizing both the mindset and the practice? How many journey maps do you need? What’s the appropriate level of zoom? When is a blueprint not the right tool? How can we balance autonomy at speed, with service experience at scale? What’s the role of the design team in this transformation? If service design tools, methods, and mindset are to become truly business as usual, these are the questions we must face. Large organisations are struggling to make the right decisions for their clients and employees. Implementing service design thinking and doing into these organisation can help them in this proces. But how to start and what barriers do we encounter. I would love to share some real insight stories on successes and struggles we went through. And give some examples on how we help organisation in this proces. Large governmental organisation like: the Flemish institution for education (Gemeenschapsonderwijs), the Flemish department for work and social economy, Belgian department for employment and education VDAB, etc. At BBVA they are facing the challenges of introducing design in a massive global financial institution. This work has several implications in the pre-existent corporate culture and also it could be perceived as a service itself. How can a design team help to provide a service that spreads the voice of Service Design across areas and geographies? What is the right mix of global vs. local designers to ensure we capture local cultural nuances and still maintaining consistency but more importantly deliver co-created amazing products? How we are designing a service for scaling Service Design through corporate training? Continuum worked with Southwest Airlines to improve the overall airline experience for travelers and decrease the aircraft turn times for the airline. This is a mutually beneficial experience for both customers and the business. Called Digital Wayfinding, this new process uses beacon technology to tell customers when their flight is coming, where to go for the nearest meal or coffee, and how quickly to move to ghttps://www.slideshare.net/sdnetwork/judith-bastiaans-meddie-versteeg-triggering-design-thinking-amongst-the-customer-journey-experts-of-ing-db-nlet to the gate. There is also a chatbot component that can help travelers navigate the airport, manage layovers, and find specific places within the airport such as the nearest Starbucks or Chili’s. Lee Moreau and Heather Figallo can speak about the specific travel pain points that this addresses, as well as the design process the teams took to execute the project. The Customer Experience Improvement Cycle, abbreviated CEIC, is a structured approach for 700 Customer Journey Experts of ING DB NL, enabling them to provide a distinctive customer experience. CEIC is intended to teach our fellow employees innovative skills, to embed a journey-oriented work ethic in our Agile Way of Working (WoW) and to trigger “design thinking”. Our uniform and structured approach helps our squads to achieve the ultimate Customer Journey in seven steps. These steps lead them from rough analysis to the formulation of ideas and, from there, to the realisation of these ideas. With the realisation of these ideas we can help our customers to stay one step ahead in life and business. Customers drop off early in the user journey as they don’t know how to get started and feel unprepared. They get stuck, feel frustrated, stop using the service or product all together, and don’t benefit from the promises of the product designed for them. For many product development teams conversion is extremely difficult to lift. How might we design engaging experiences that set up people for long term success? This talk will cover how to measure success, principles and best practices on on-boarding design and user education. At IBM we have evolved our approaches to Service Design to shift our thinking and innovation activities away from products to ecosystems and outcomes. This presentation will explain the approaches the strategy and approaches we are using to design in the age of cognitive computing working with the world’s largest and most successful corporations. IBM is applying Service Design methods and practices to help us deal with complex transformation challenges across large organisations to enable us to innovate at speed and scale with our clients. Using an approach we call Service Design 4.0, IBM uses Playbooks, methods and practices that coalesce to help us radically collaborate within teams and with clients to deliver transformation within the disruptive paradigm of Industry 4.0. Companies are facing different challenges, from moving towards customer centricity to generating deep organizational change. Based on our experiences accompanying them in this process, we would like to expose the different aspects that make a company service-design friendly. With insights and testimonials, we want to give you a human perspective on what makes companies a fertile environment for user-centric innovation and how to be better catalysts of this transformation.